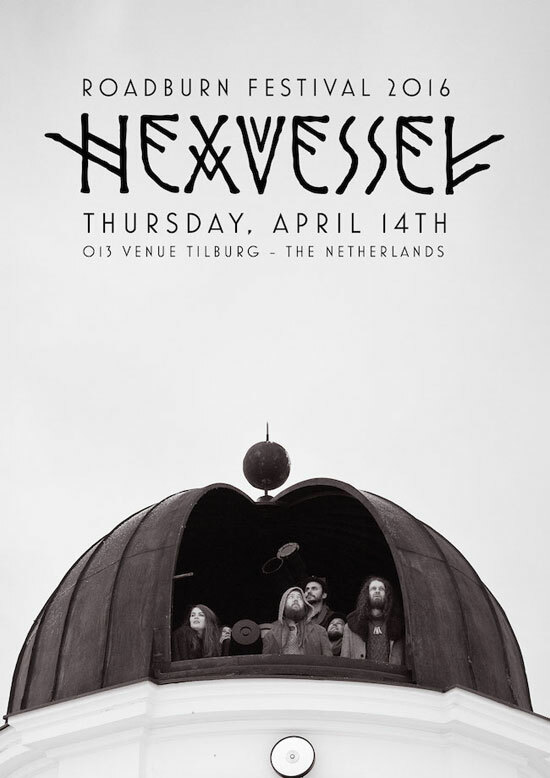 Enigmatic “spirit-trafficking” Finnish forest-psych weirdos Hexvessel will play the main stage at Roadburn Festival 2016 on Thursday, April 14! They will be performing material from their forthcoming 3rd folk-tinged acid-rock opus alongside selections from their last three seminal releases. Rock-A-Rolla Magazine dubbed them “an ever-shifting beast, floating between unhurried bliss and fevered rapture.” Hexvessel‘s sound expands outward from their eerie, signature, ritual-esque folk into a genre-twisting cauldron of otherworldly rock that Prog Magazine identifies containing nods towards “the Beatles, HP Lovecraft and King Crimson.” Hexvessel have delved even deeper into timeless, authentic and original psychedelic rock with their latest album to be released on Century Media in January 2016. Hexvessel is rock but never roll – balancing the simple folk tune with psychedelic drive, hinting at Captain Beefheart and The Doors as well as the dewy-eyed Americana that contemporary folk artists like First Aid Kit have adapted and re-defined. Stirred together, this makes for one truly unique brew of timeless storytelling and song craft. Renowned Romanian artist, Costin Chioreanu, will be providing bespoke visuals to accompany Hexvessel‘s Roadburn set. Since the release of their debut album in 2010, Hexvessel has sold out headline tours in their homeland, been nominated for two Finnish Grammy awards, toured Europe together with bands like Sabbath Assembly and Alcest, played prestigious festivals like SXSW in Texas, and seen their music on the charts and on critics lists. This strange pack of Finns have succeeded in creating their own world, of which an ever-increasing number of curious outsiders are hungry to take part.